When The Staircase first debuted on French TV in 2005, it was barely recognizable as a true-crime documentary. At that time, “true crime” meant Dateline. It meant Nancy Grace, whose smug moralism stands in for the judgments of society in Jean-Xavier de Lestrade’s then eight-part documentary series. 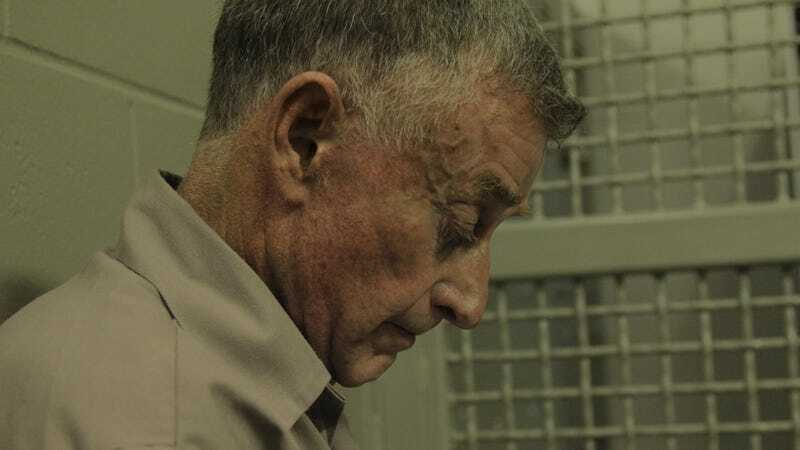 More than a decade later, immersive, long-form true-crime series like The Staircase are common—trendy, even—thanks in no small part to Netflix, which this week will finally release three new episodes (after two additional episodes were released in 2013) that provide a definitive, if sometimes frustrating ending to this genre-defining work of documentary filmmaking. Just the scope of the project, nearly 13 hours of television filmed over the course of 16 years, is a staggering achievement unto itself. Unlike the Nancy Graces of the world, de Lestrade is not interested in passing judgment on his subject. Fresh off of winning the Best Documentary Oscar for his film Murder On A Sunday Morning, about a black 15-year-old in Florida wrongfully accused of murder, in 2002 de Lestrade set out to find a story that represented the opposite end of the American justice system. He found it in Michael Peterson, a wealthy white, middle-aged novelist from Durham, North Carolina who was charged with murdering his wife, Kathleen, on December 9, 2001. At the risk of being crass, for a documentarian, the Peterson trial is a rare gift. It’s a truly ambiguous case, with a trial full of dramatic twists that keep things interesting up to, and even after, the verdict itself. (You can read those in our 2005 review of the original series, if you’re so inclined.) Years later, another shocking revelation led the judge that presided over Peterson’s case to order a new trial. (Spoilers for that are here.) The aftermath of that decision—which stretches out over nearly six years before eventually culminating in a stunning courtroom scene—is documented in the new episodes. L to R: Caitlin Atwater, Clayton Peterson, Kathleen Peterson, Michael Peterson, Todd Peterson, Martha Ratliff, and Margaret (Ratliff) Blakemore. The director films it all with a stubbornly impassive eye, using a cinéma vérité approach that’s thorough almost to the point of fetishism. 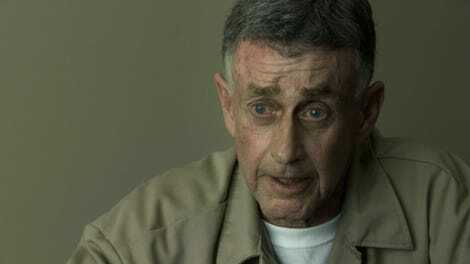 The Staircase eschews narration entirely and uses interviews sparingly, resulting in episodes that consist mostly of long, uninterrupted scenes of Peterson’s well-paid legal team, led by attorney David Rudolf, joking and talking strategy; attorneys presenting evidence and cross-examining it in court; and Peterson and his college-aged children discussing the trial with their friends and each other. At times, for the casual viewer of the genre, this approach may feel excessively drawn out, even numbing. But not only is it heaven for armchair detectives who thrive on detail, but it’s also one of the subtle ways de Lestrade puts his stamp on the series. There are also moments of devastating poignancy, like the scene at the end of the first episode where police set a tape recorder in the stairwell where Kathleen’s body was found and play a recording of a woman crying for help. The point of the experiment was to see whether Michael Peterson could have heard his wife’s cries, and thus whether his story—that he was outside by the pool waiting for her, and when he went inside to investigate, she had already bled to death after hitting her head in a fall down those same stairs—could possibly have been true. Under de Lestrade’s steady lens, it takes on a new, surreal significance, a cry from beyond the grave made even more chilling by its clinical presentation. Moments like these, skillfully echoed throughout the series, remind us that not only is a life at stake, but also that another is gone forever. You won’t get the level of detail in The Staircase from most true-crime documentaries—or anything short of actually being involved in the trial, really. And as the series plays out, the editing starts to assemble a portrait of a system where optics and politics come before justice and anything becomes possible if you have enough money. de Lestrade’s habit of showing TV reporters practicing their lines before going live makes all other accounts of the trial look like a farce, obscuring the question of how he’s shaping the narrative by what he chooses to include—or not include, in the case of a frankly rather insane theory that Kathleen’s injuries were caused by an owl attack. The distance between filmmaker and subject becomes both more and less pronounced in the new episodes of The Staircase produced for Netflix. Like movements in a symphony, each of the three episodes represents a different stage of the process: hope, then frustration, then confession. The 11th and 12th episodes consist largely of legalese and strategic back-and-forth, but just when that starts to feel tiresome, the last episode is full of intriguing developments. There are new revelations about the prosecution’s behavior during the original trial, Peterson discussing his sexuality on camera for the first time, and, in perhaps the most devastating moment of the series as a whole, Kathleen’s sister Candace Zamperini condemning not only Peterson and Rudolf but also the filmmakers and The Staircase itself in an address to the court, ripping up everything you thought you knew about the story with the raw intensity of her grief and pain. It’s arguable that the bias toward Peterson’s defense that’s evident in The Staircase is simply a by-product of access: The filmmakers were granted full access by Peterson’s family and his defense team, but not by the prosecution or his late wife’s family. And after spending so many hours with Peterson and (most of) his children—adopted daughters Martha and Margaret and sons Clayton and Todd stand by him, but stepdaughter Caitlin believes he did it—you inevitably start to feel as if you know them. You see the girls grow into women, and the sons have sons of their own. It’s only human to be sympathetic toward those you know. With that in mind, de Lestrade’s decision to include Zamperini’s statement that the very documentary you are watching at that moment has caused her and her family years of humiliation and pain underscores his commitment to documenting what happened as objectively as possible. There are many possible interpretations of what happened the night Kathleen Peterson died, and many different ways to judge the players involved. This ambiguity, the fact that two people can watch the same series and come away with different conclusions, is ultimately to The Staircase’s credit. And that Leonard Cohen song at the end? Hoo boy.